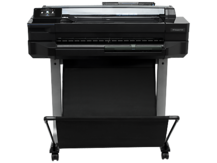 As a Authorized HP Business Partner, 4 The Office can offer competitive pricing, fast delivery, and the highest quality products available for all of your wide format printing, copying and scanning needs. We have over 25 Years of experience servicing Wide Format Devices so you can rest easy when it comes to keeping you up and running. Additionally, all of your supplies are available for ordering in our secure online store. 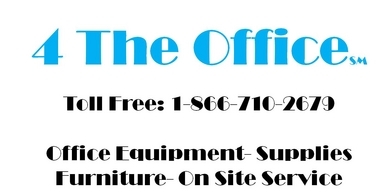 4 The Office has been recognized by HP for "superior customer service." See our recognition certificate here. durability, and value every time. Original HP inks and HP printers to optimize printing system performance. 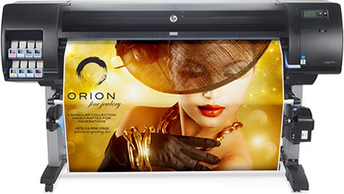 designed to meet the demands of graphics and technical professionals. 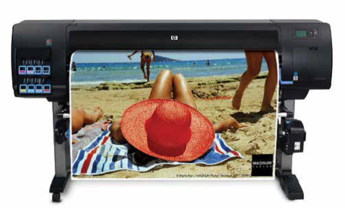 Consistently outstanding image quality – that’s what you see with HP large format printing materials. And with so many options in finish, size, and style, it’s easy to find the ideal paper for almost any printing application. Original HP printing materials are designed to work with the complete system – together with HP printing supplies and the HP Designjet printer – to provide uncompromising quality, consistency, performance, durability, and value every time. Explore the wide range of different types of printing materials, specifically designed to meet the demands of graphics and technical professionals. You can also all the available papers and media in our online store. Save time, space, and money. 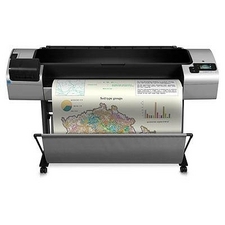 As the most affordable HP DesignJet printer,¹ the HP DesignJet T120 Printer fits your budget and your space. Install this compact printer where it's most convenient, and enjoy wireless connectivity² and easy-to-use features. Use our Online Quote Builder to request your HP T120 Proposal. Use our Online Quote Builder to request your HP T520 Proposal. 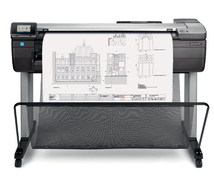 Use our Online Quote Builder to request your HP T730 Proposal. Use our Online Quote Builder to request your HP T795 Proposal. Organize and protect your print jobs with the output stacking tray and load paper rolls effortlessly from the front of the device. 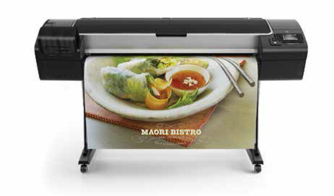 The compact design allows you to easily reach media and see into the print zone to keep close track of print jobs. Use our Online Quote Builder to request your HP T920 Proposal. Use our Online Quote Builder to request your HP T930 Proposal. 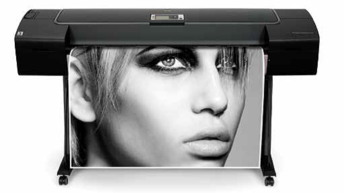 The HP Designjet T1500 Wide Format Printer (CR356A#B1K) is a 36 inch Web-ready printing system for design teams. High-speed, high-quality output. Organize and protect prints to help ensure quality with the output stacking tray, and load two paper rolls effortlessly from the front of the device. Keep close track of all jobs with easy access to the print zone. Use our Online Quote Builder to request your HP T1500 Proposal. 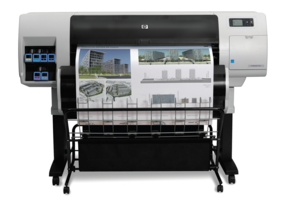 The HP Designjet T1500 Wide Format Printer (CR357A#B1K) is a 36 inch Web-ready printing system for design teams. High-speed, high-quality output. Organize and protect prints to help ensure quality with the output stacking tray, and load two paper rolls effortlessly from the front of the device. Keep close track of all jobs with easy access to the print zone. Maximize workgroup productivity and enterprise security. Use our Online Quote Builder to request your HP T1530 Proposal. 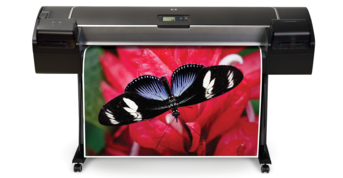 HP makes it easy to print and share with this—the first large-format ePrinter designed for workgroups. Collaborate and print on the go. Take advantage of features that boost productivity. And save time with tools that ease the printing process. Use our Online Quote Builder to request your HP T1300 Proposal. Use our Online Quote Builder to request your HP T830 Proposal. Copy, Print and Scan. The HP Designjet T2500 eMFP (CR358A#B1K) is a 36 inch Web-ready printing system for design teams. It lets you access HP ePrint & Share directly from the touchscreen, so adding new functions is easy. Use our Online Quote Builder to request your HP T2500 Proposal. Copy, Print and Scan. 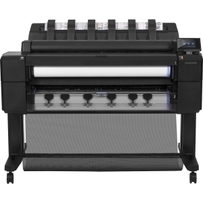 The HP Designjet T2500 eMFP (CR359A#B1K) is a 36 inch Web-ready printing system for design teams. It lets you access HP ePrint & Share directly from the touchscreen, so adding new functions is easy. Integrated MFP drives productivity, security. Use our Online Quote Builder to request your HP T2530 Proposal. Use our Online Quote Builder to request your HP T3500 Proposal. 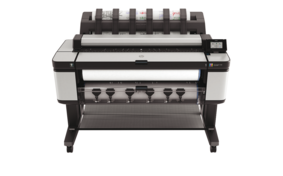 HP's large-format, 8-ink Designjet with HP Vivera pigment inks delivers prints up to 24 wide and color accuracy and consistency you can only get with the first-ever embedded spectrophotometer. Use our Online Quote Builder to request your HP Z2100 Proposal. Use our Online Quote Builder to request your HP Z3200 Proposal. 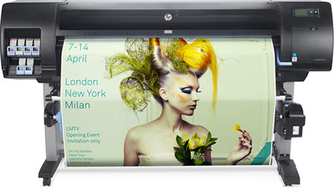 The new 44-inch HP Designjet Z5200 PostScript® Printer with HP Vivera pigment inks revolutionizes your workflow, enabling an incredibly intuitive and productive experience. Use our Online Quote Builder to request your HP Z5200 Proposal. Reduce waste—load two media widths, use best size for the job and help reduce unnecessary reprints with true previews before printing and with reliable colors. Use our Online Quote Builder to request your HP Z5400 Proposal. No need to make trade offs with this, the fastest printer in its class. 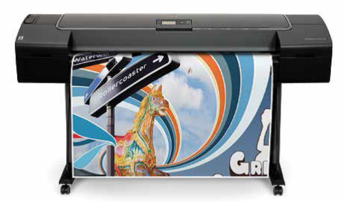 The heavy-duty HP Designjet Z6200 Photo Printer—a workhorse in disguise—enables you to offer outstanding photo image quality. Use our Online Quote Builder to request your HP Z6200 Proposal. Use our Online Quote Builder to request your HP Z6600 Proposal. HP Designjet Z6800 60-in Photo Production Printer F2S72A#B1K Create quality prints at top speed with HP Double Swath Technology and the HP Optical Media Advance Sensor. Cut turnaround times and effortlessly handle large data loads thanks to high file-processing power. Use our Online Quote Builder to request your HP Z6800 Proposal. 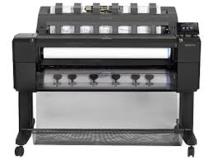 This production-strength HP printer combines low-cost mono printing with quality color—and delivers a breakthrough TCO. Replace your mono LED and aging color printer with a single HP device that's also easy to upgrade because of its modular design. Use our Online Quote Builder to request your HP T7100 Proposal. 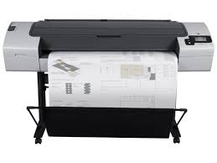 HP Wide Format Printers, Plotters, Copiers, Repair, Service, Leasing. Proudly serving Wilkes Barre, Scranton, Pittston, Kingston, Edwardsville, Hazleton, Mountaintop, Tunkhannock, Montrose, Towanda, Wyalusing, Williamsport, Sunbury, Berwick, Danville, Stroudsburg, Mount Pocono, East Stroudsburg, Emmaus, Allentown, Bethlehem, Lehigh Valley and Easton Pennsylvania.